Re-posted with permission from Novelicious. With a few months to go until we can bask in the glory of summer, we still have our fair share of cold and rainy days to get through. 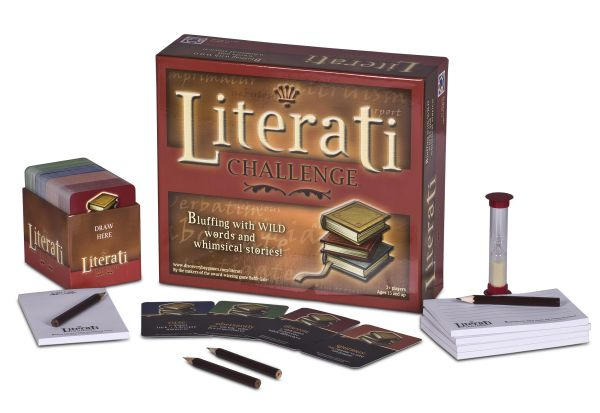 To help keep boredom at bay when you’re stuck inside, here are 15 bookish board games that are perfect for rainy afternoons. 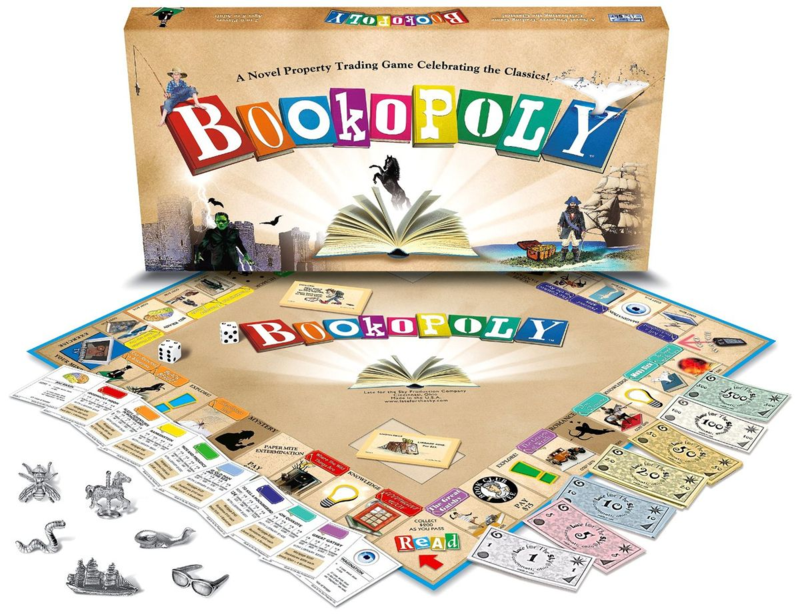 Bookopoly is a traditional property trading game with a classic literature twist. Interesting facts about the books and authors are printed on the corresponding property deeds. 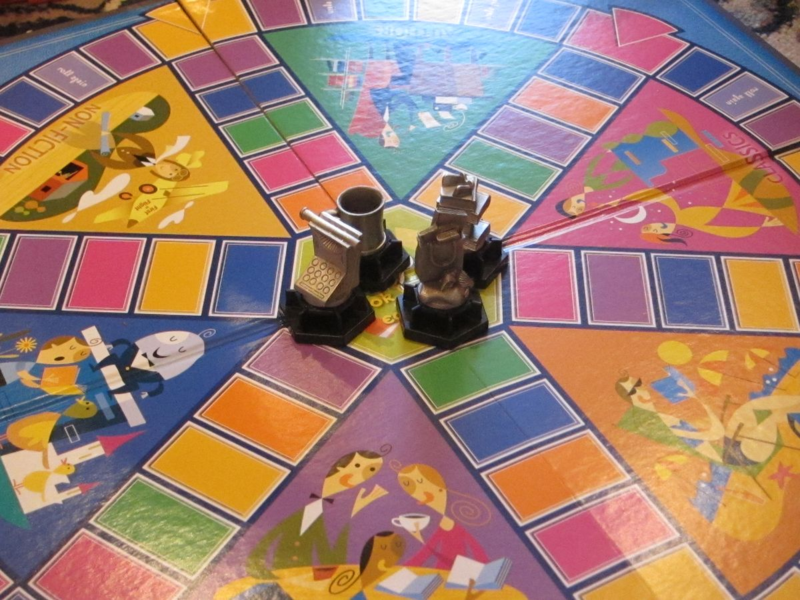 Roll the dice to advance to Read or collect Bookstores and trade them for Libraries. Just don’t get sent to Watch TV (that’s jail to you and me). Marriage is the name of the game in this Pride and Prejudice themed enterprise. 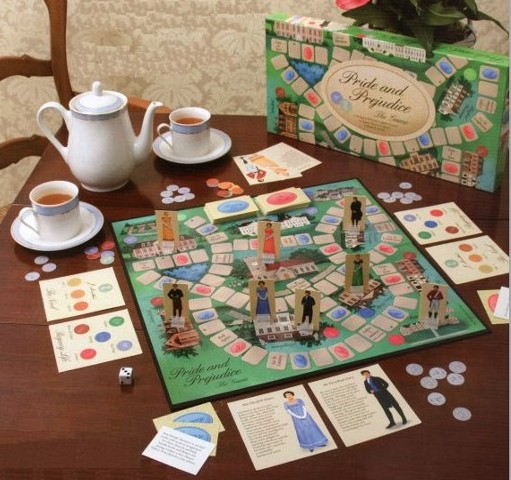 Play as Elizabeth and Darcy, Jane and Bingley, Lydia and Wickham or Charlotte and Mr. Collins and maneuver your characters through a ball at Netherfield, a stroll through the gardens at Pemberley or the many diversions of London. 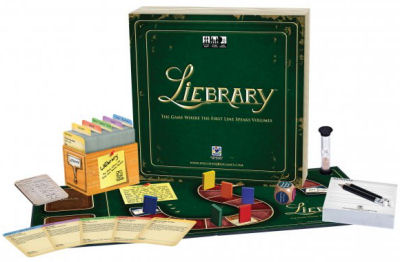 Is it weird that we kind of want to live in this board game? Okay, so this doesn’t come in a fancy box, but it’s free to download and sounds absolutely brilliant (albeit not for the faint hearted). One team plays as the Overlook Hotel, and the other the Torrence family, each trying to destroy – or at least best – the other. The game was made with Stephen King’s full backing, and he was one of the original testers, so you know it’s going to be creepy. Players get five words on cards. Each player must then write a story using all the words in 90 seconds. The challenge? You may not know the meaning of the words, but to score points you need to make the other players believe you do. 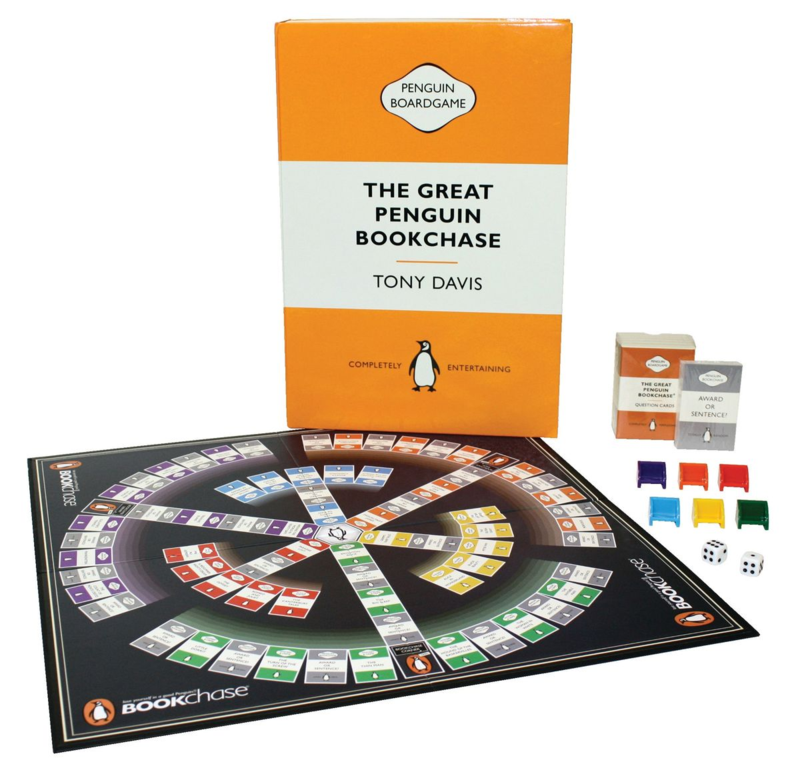 A multiple choice question game, the aim of this one is to fill your bookshelves with various genres to win. 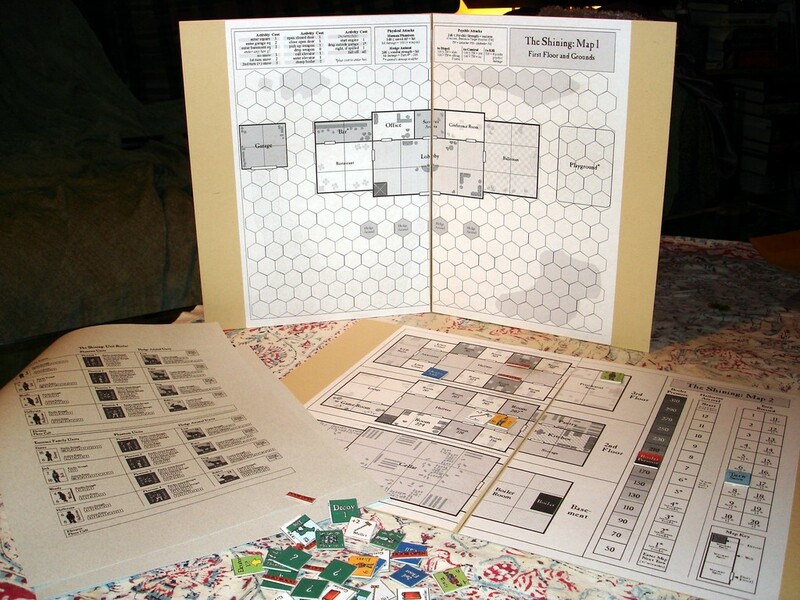 If you like a bit of fun finagling in a board game, this one is for you. One player reads the title, author and synopsis of a real-life book before the other players make up stonking first lines. If you’re believable and someone picks your first line as the supposed real one, you earn a point. What Dublin author sets Ashling Kennedy in the cutthroat world of fashion magazines, in Sushi for Beginners? What Hardy novel features a doomed title heroine who names her daughter Sorrow? If you know the answers to these questions, you can totally be on our team. One does not simply walk into Mordor, but you can roll dice to get there apparently. 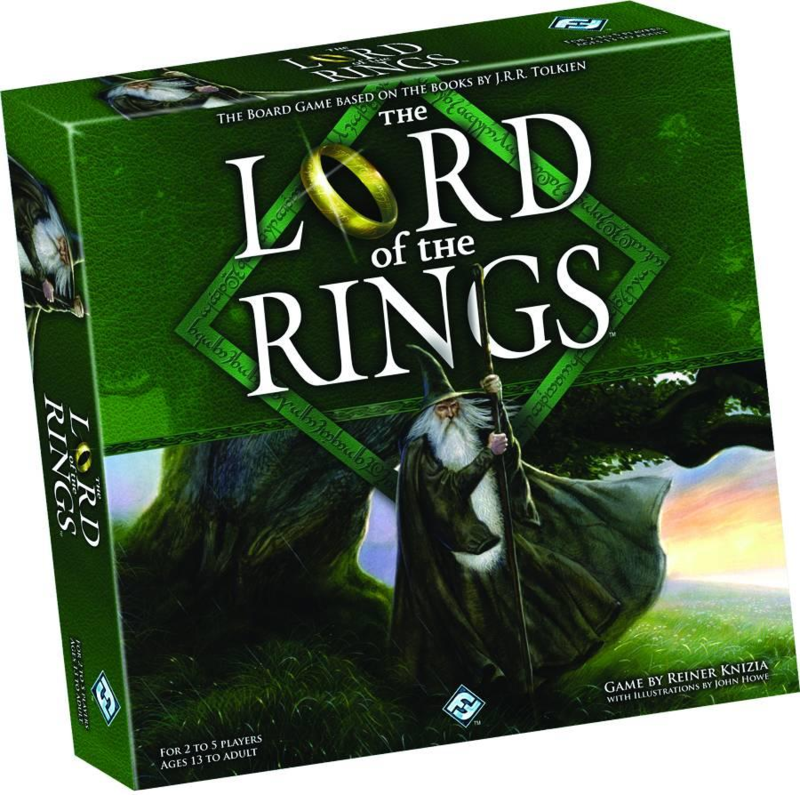 Travel the perilous path to Sauron’s dwelling place – meeting beloved characters in familiar Middle Earth locations as you go – in your quest to destroy the One Ring. Down the rabbit hole you go as Alice, where you’ll meet the White Rabbit, the Mad Hatter, the Cheshire Cat and the Red Queen. 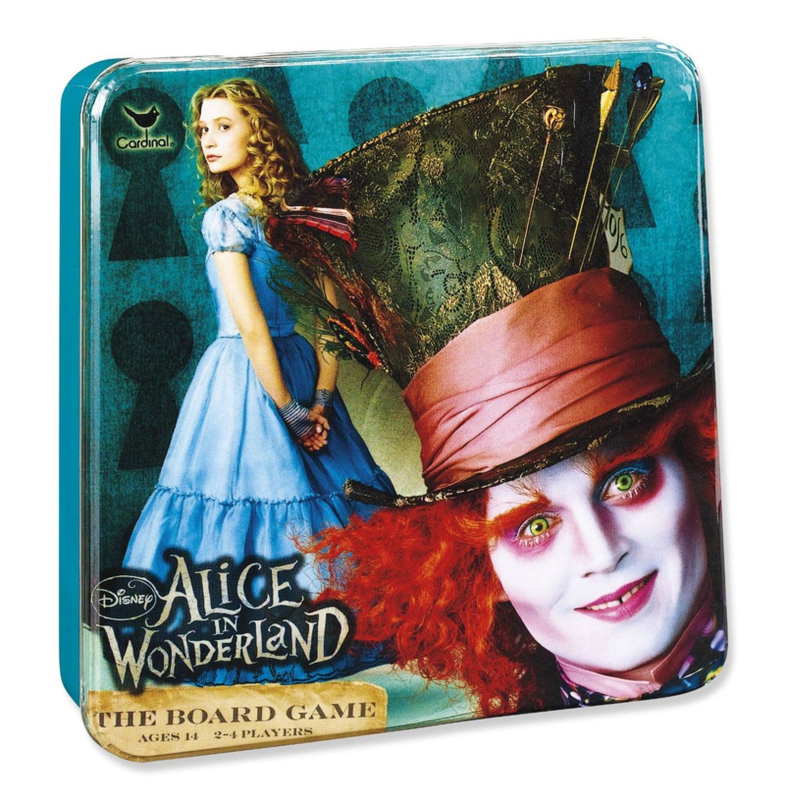 In true Alice in Wonderland nonsensical style, the game is split into four rotating sections so probably best not to accompany game playing with wine. Essentially this is Clue at Hogwarts, with Harry Potter characters in place of good old Colonel Mustard and his ilk. There are definitely enhancements to the original Clue format though, including a roaming ghost. 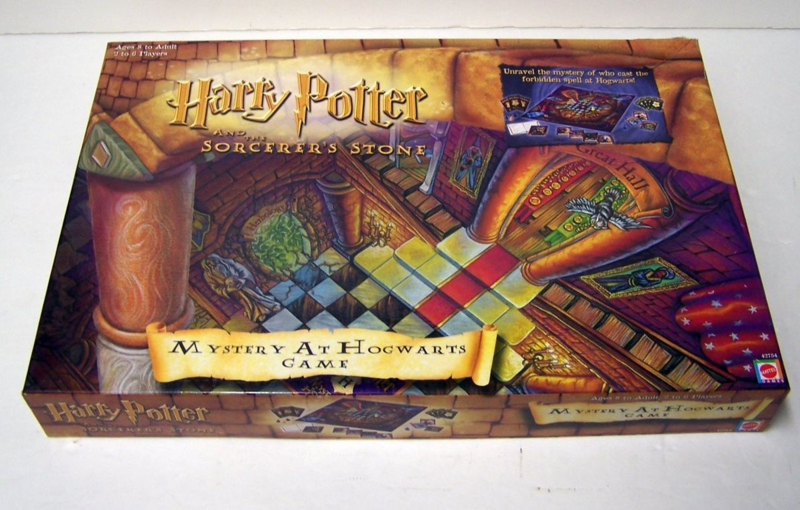 If you know how Harry & Co get rid of Hagrid’s dragon or who they accidently lock in the bathroom with a troll, this is the game for you. Wingardium Leviosa! 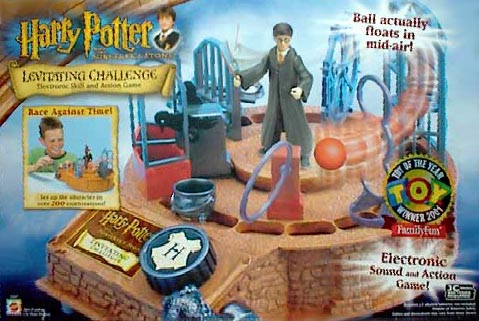 In this offering, you have to use your powers of levitation (we hope you were paying attention to Filius Flitwick) to move a ball around a magical maze without dropping it. Don’t worry, there’s wizard training instruction as you play. Dicers is a collectible dice game with two levels of play. 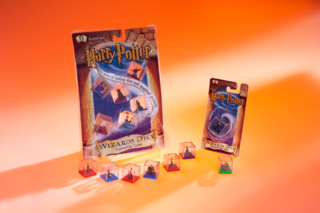 Knock your opponents dice out of play in the basic game, or develop unique combinations to expel dicers to the dungeon in the advanced game. 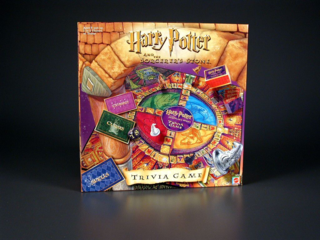 The starter kit includes six dice; Harry Potter, Hermione Granger, Draco Malfoy, Severus Snape, Hagrid, and the Sorting Hat. We’ll be the Sorting Hat, please. 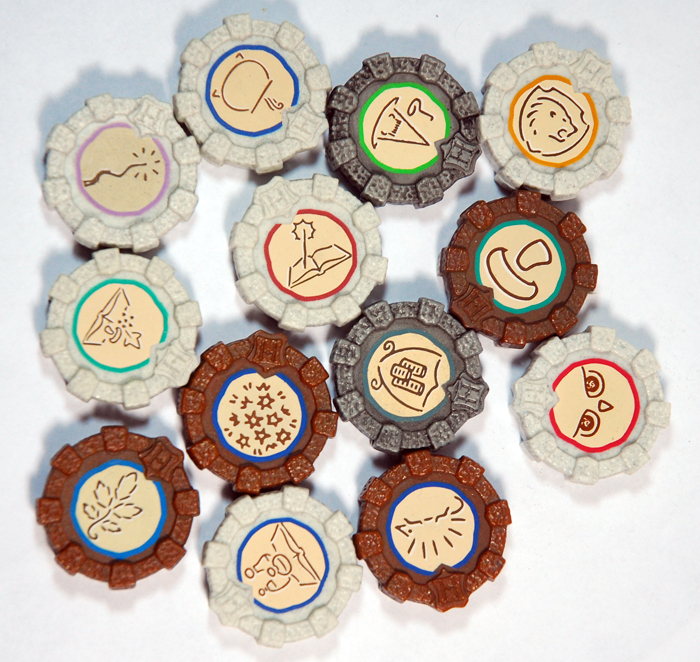 Essentially a board game version of paper, rock scissors, Casting Stones uses a spells, potions, charms hierarchy. Simple, right? So why have we lost hours while playing this game? Strangely addictive. There are also two really good games from Mayfair Games that are related to Terry Pratchett’s series of books – Ankh-Morpork and The Witches. Worth checking out if you’re a Terry Pratchett fan! I’ve seen those in my local game store. 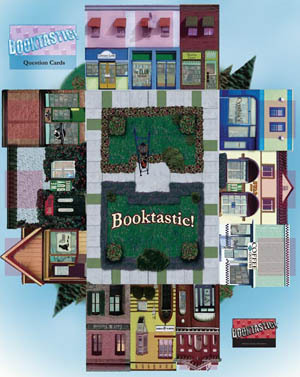 How well do you think players unfamiliar with his books would enjoy them? Do they stand well on their own?